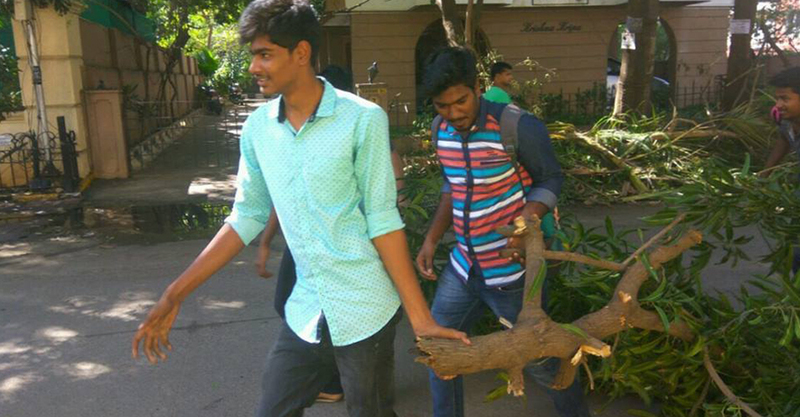 16,000 people were evacuated from low-lying areas, as a result of Vardah. 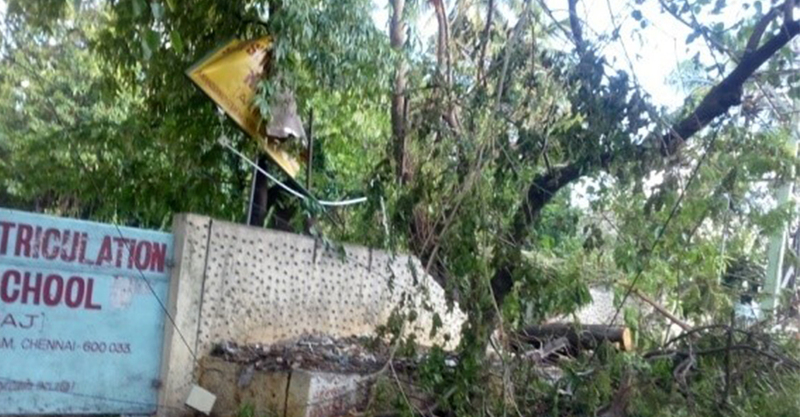 Over 10,000 electric poles were mangled and 800 transformers damaged. 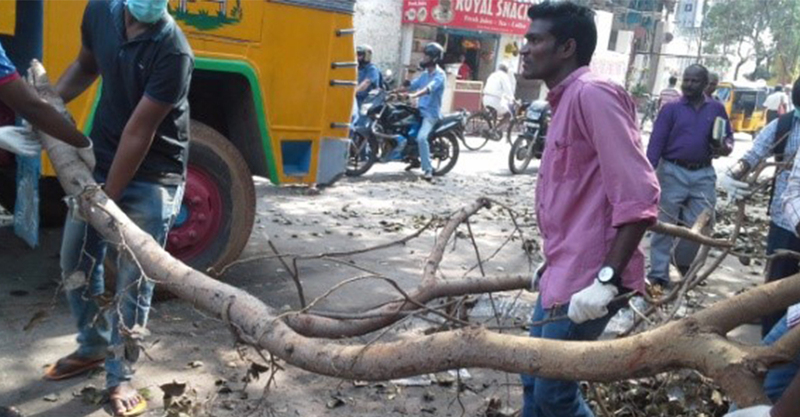 224 roads were blocked, and 24 huts were also damaged. 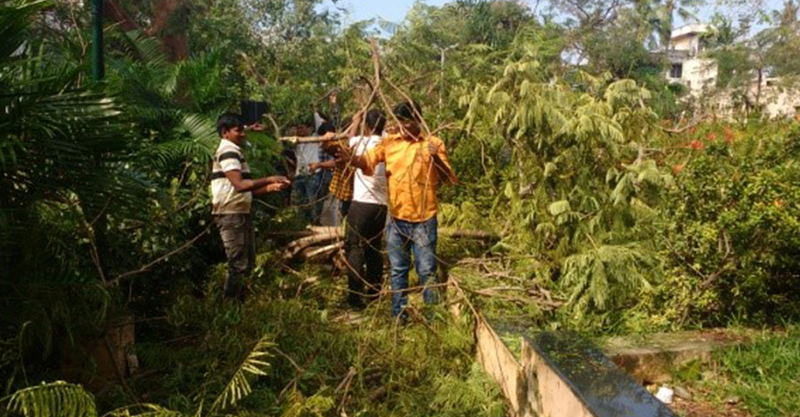 398 houses severely damaged, including 295 huts. Out of these 295 huts, 88 were reported to be completely destroyed. 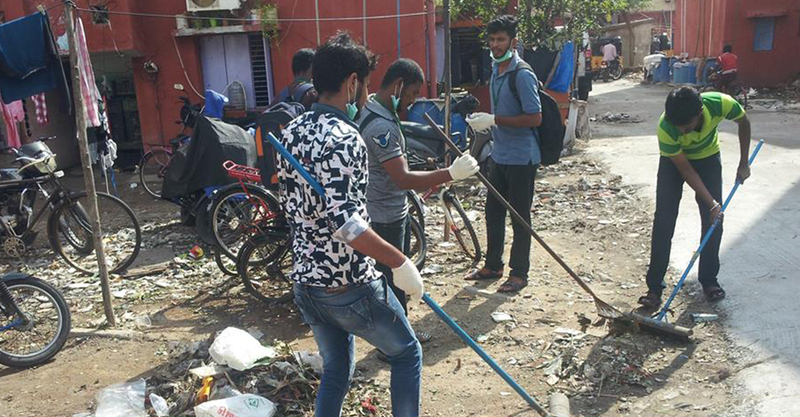 In the wake of Cyclone Vardah, Bhoomika Trust and Chennai Volunteers engaged with the Corporation to help clean up the debris on the roads, all across Chennai city. 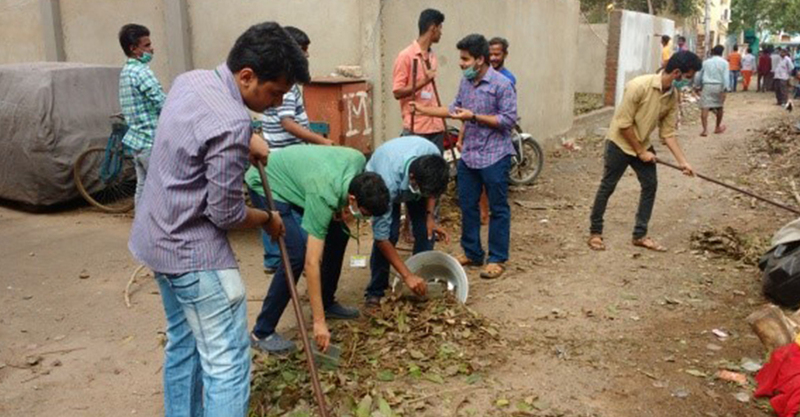 Students, Corporate volunteers and individual volunteers worked across various zones of Chennai. 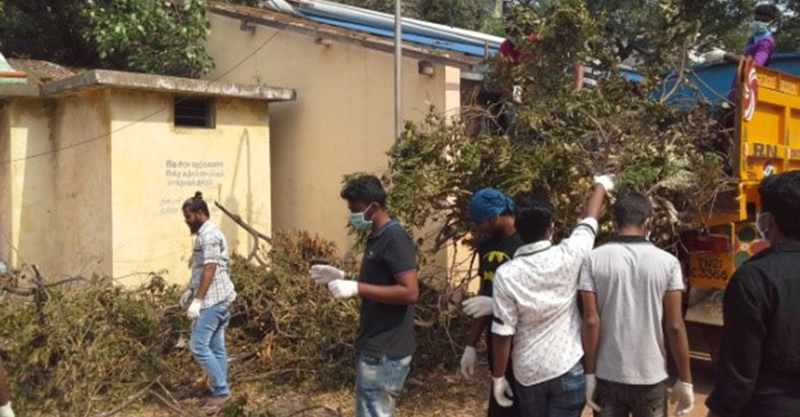 When student volunteers went into a needy community to help clean/ clear up the area, they relayed a strong message of caring beyond mere words. 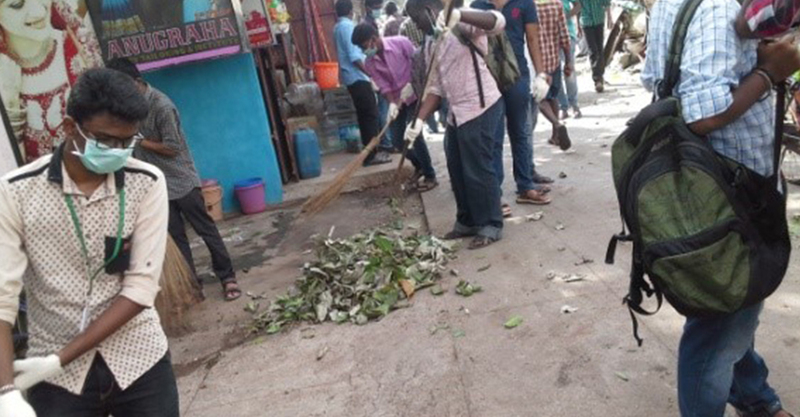 Kudos to the spirit of the volunteers as everyone got together and cleared the roads, overcoming all barriers – traffic, noise and more to make way for traffic to pass. Katiyar, Shobhit. 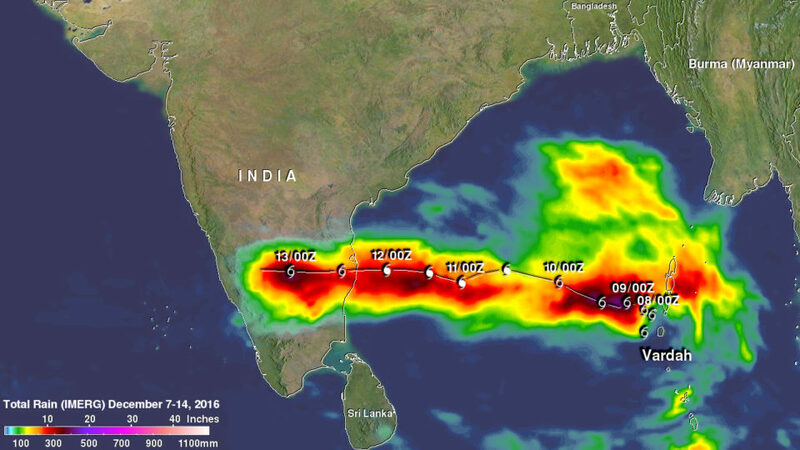 “Tropical Storm Vardah Advisory Number One issued at 0300 UTC of 8 December 2016” (PDF) (https://www.webcitation.org/6mhMA3bdA?url=http://gwydir.demon.co.uk/advisories/RSMC_201612080400.pdf). India Meteorological Department. Archived from the original (PDF) (http://gwydir.demon.co.uk/advisories/RSMC_201612080400.pdf) on 12 December 2016. Retrieved 12 December 2016. 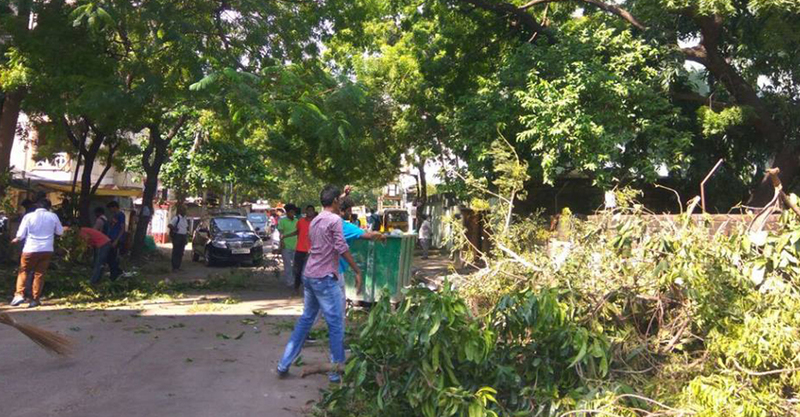 “Cyclone Vardah makes landfall: Two killed in Tamil Nadu, life thrown off gear” (http://www.hindustantimes.com/india-news/vardah-makes-landfall-two-killed-in-tamil-nadu-life-thrown-off-gear/story-sT5AyIF3QIf0slBLZPc5dN.html). Hindustan Times. Retrieved 12 December 2016. “EB issues advisory before restoring power supply – ChennaiVision” (https://chennaivision.com/eb-issues-advisory-restoring-power-supply/). ChennaiVision. 2016-12-13. Retrieved 2016-12-13. Kumar, Naresh. “Special Tropical Weather Outlook for North Indian Ocean issued at 0600 UTC of 7 December 2016” (PDF) (https://www.webcitation.org/6mhL65LmS?url=http://gwydir.demon.co.uk/advisories/RSMC_201612070600.pdf). India Meteorological Department. Archived from the original (PDF) (http://gwydir.demon.co.uk/advisories/RSMC_201612070600.pdf) on 12 December 2016. Retrieved 12 December 2016.